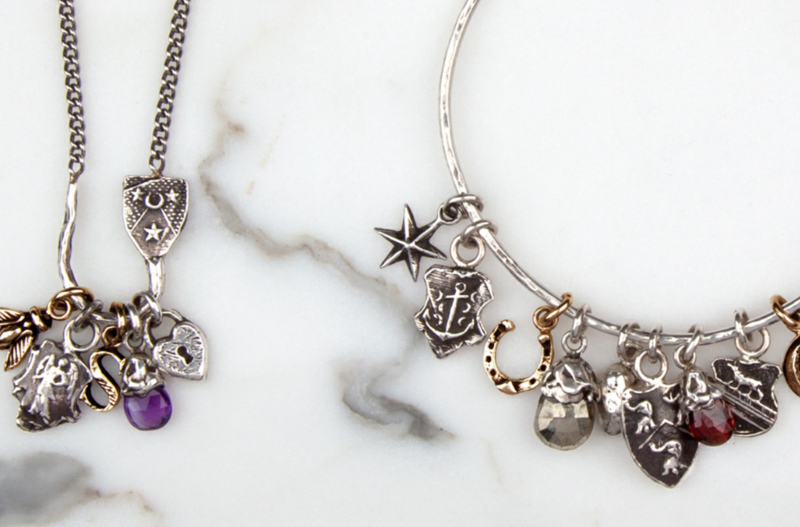 We love Pyrrha's new collection of charms and charm holders! Taking on the classic charm bracelet, Pyrrha has come out with a line of simple latched bangles that you can easily slide charms on and off of. They also have these great charm holder necklaces that come with a talisman already attached. Pyrrha has a wide selection of charms to choose from as well, including petite talismans, signature charms and semi precious stone charms.